You are a qualified, experienced and passionate professional who will embrace and engage with the essence of Reach as a key member of the Programs team. The Manager, Education Programs VIC is responsible for managing program delivery for the portfolio of education programs in Victoria. This involves managing facilitators and crew, and coordinating the design, delivery and review of education program activity. This also involves managing relationships with education stakeholders in partnership with the Manager, Schools Engagement and Bookings. 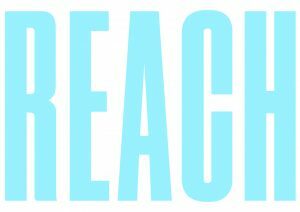 The Reach Crew is a group of young people who are committed to creating, designing, and delivering experiences for other young people to learn more about themselves, connect with others and be their best selves. The Reach Crew consists of both volunteers and casual employees. WHO ARE THE PROGRAMS TEAM? The Programs team is responsible for the delivery of all Reach workshops with young people. Working closely with the Learning & Development and Wellbeing teams, the Programs team is part of the engine that drives and brings to life the Reach philosophy, engaging our stakeholders and delivering exceptional programs to young people. Having the right to live and work in Australia. Please note: Any offer of employment will be subject to a satisfactory Working with Children (WWC) check identifying Reach as your employer, and a National Criminal History Check, prior to starting in the role. Role starting as soon as possible. Being young is not without its struggles. Today’s world is pretty complex and young people can experience a bunch of challenges that adults might not be able to relate to. One of the biggest hurdles is just having the confidence and support to be who they want to be. There are currently over 4 million young people living in Australia, and Reach works with over 40,000 of them a year. We have over 250 of them working for us; designing and delivering workshops in schools and the community. Our workshops are 100% youth-led, from design through to delivery, and the community we create out of these workshops is one that allows for deeper connection, a sense of belonging, and the dispelling of judgements. A preventative, instead of having to focus on symptoms in adult life. Please quote in application: Manager, Education Programs VIC via Pro Bono Australia.